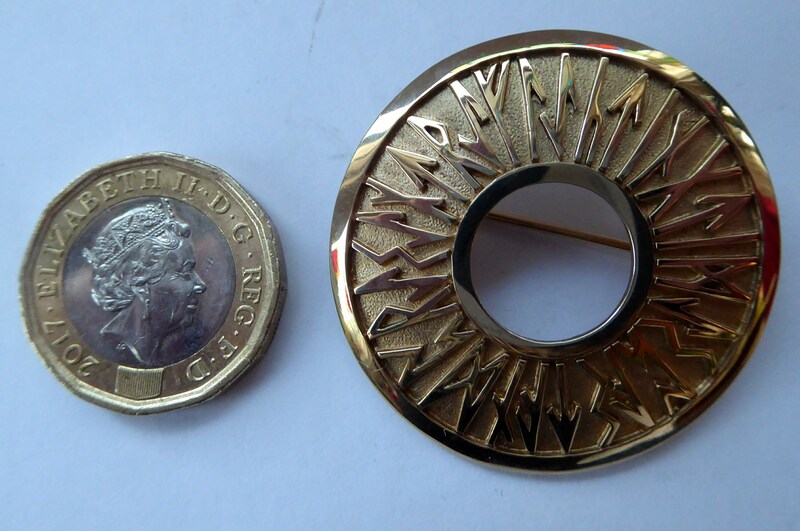 This is a lovely Scottish solid 9ct gold brooch. 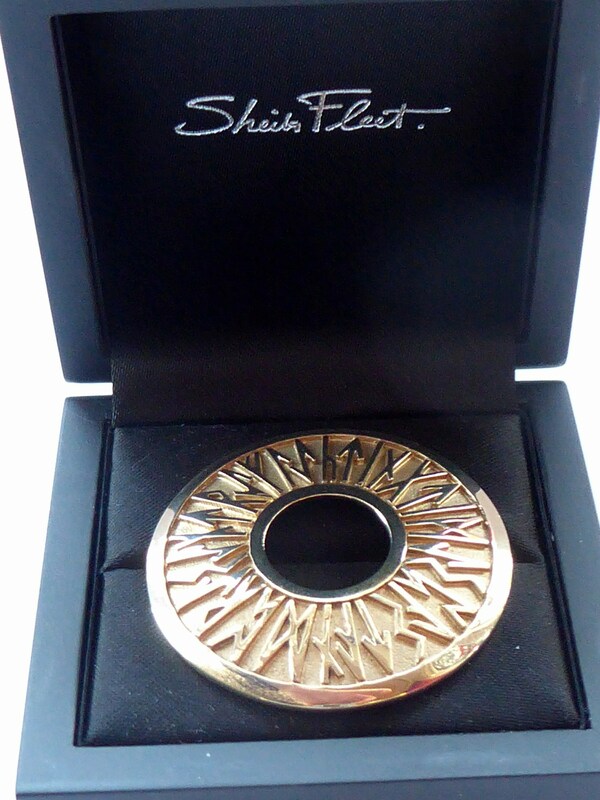 It is made by the Orkney jewellery designer, Sheila Fleet. 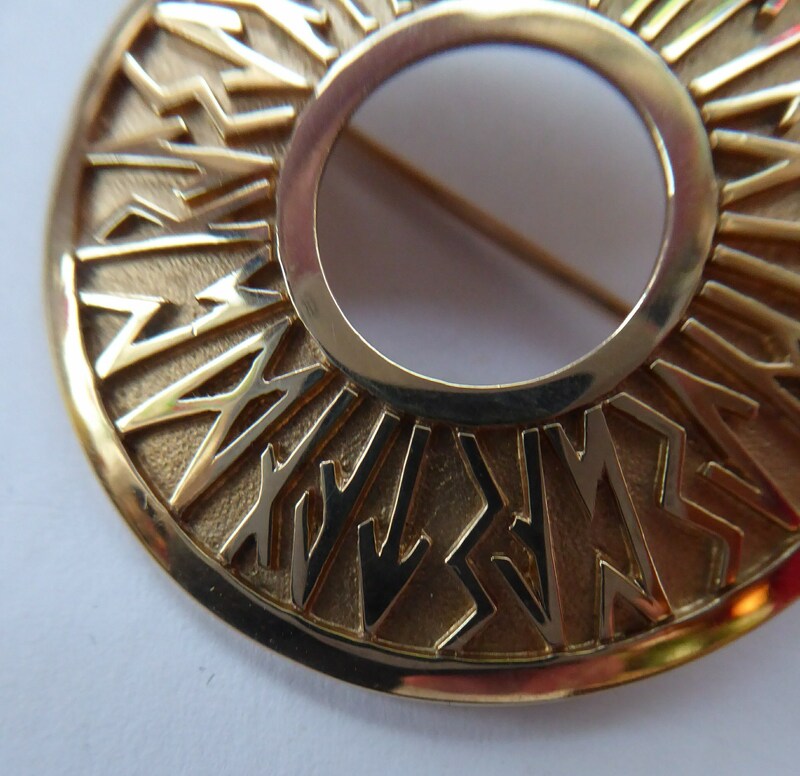 This brooch design is called Runic, and was inspired by the Viking runes carved into the chamber walls of the Stone Age tomb at Maeshowe, Orkney. 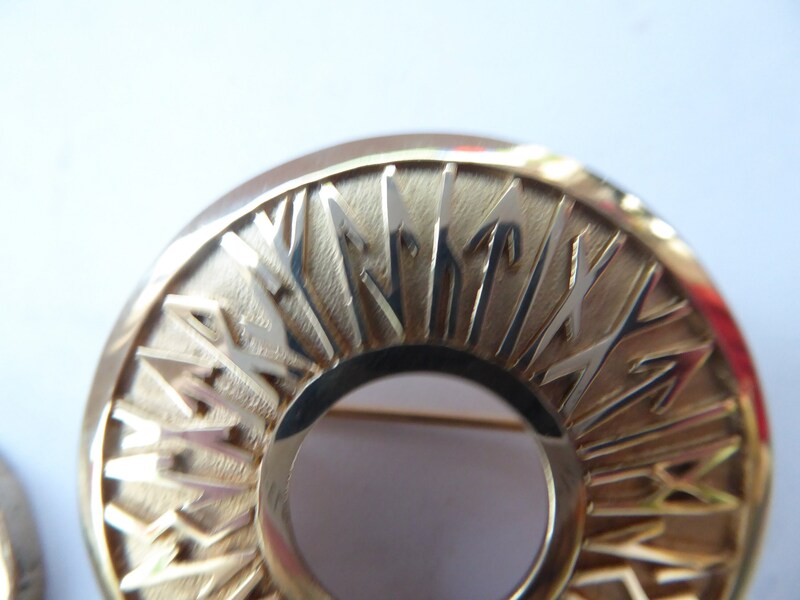 The brooch reads in runes: Reflecting times past and present. It is more commonly found with pale blue enamels on silver - but this is a more valuable and harder to find 9ct gold example. 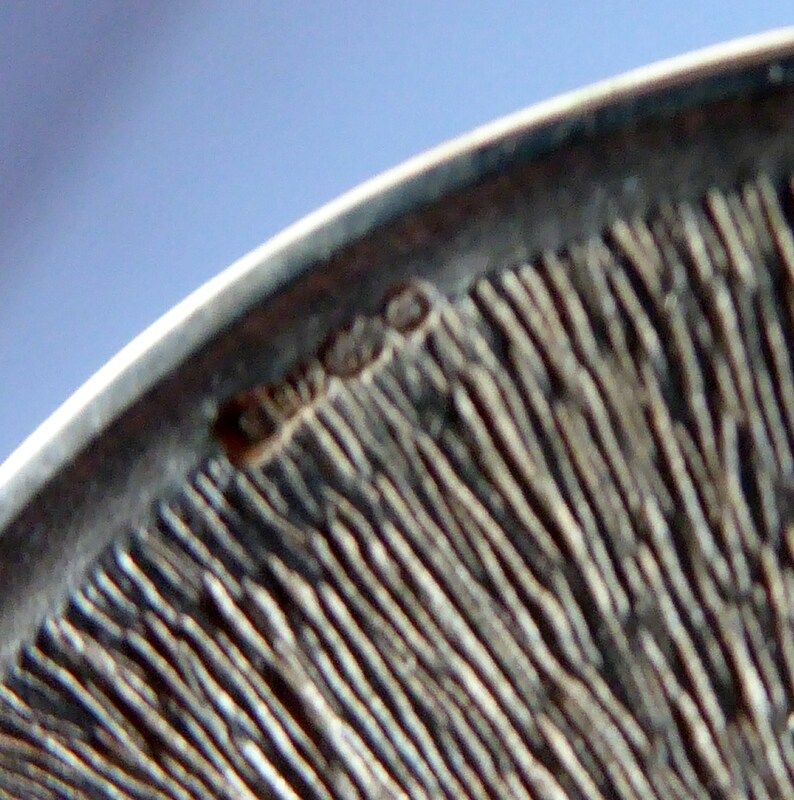 It is 3.7 cm in diameter and weighs 11.4 grams. As you can see - it is in lovely and almost pristine condition. 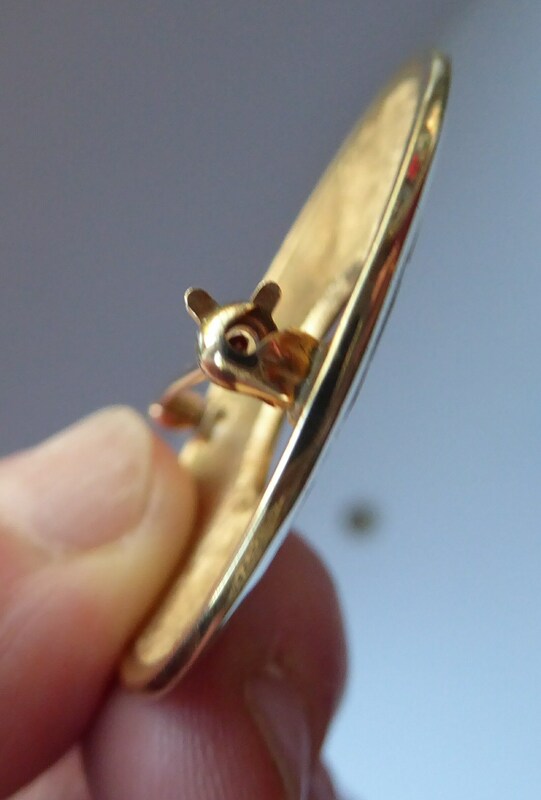 It has a teeny weeny makers and gold mark to the back. 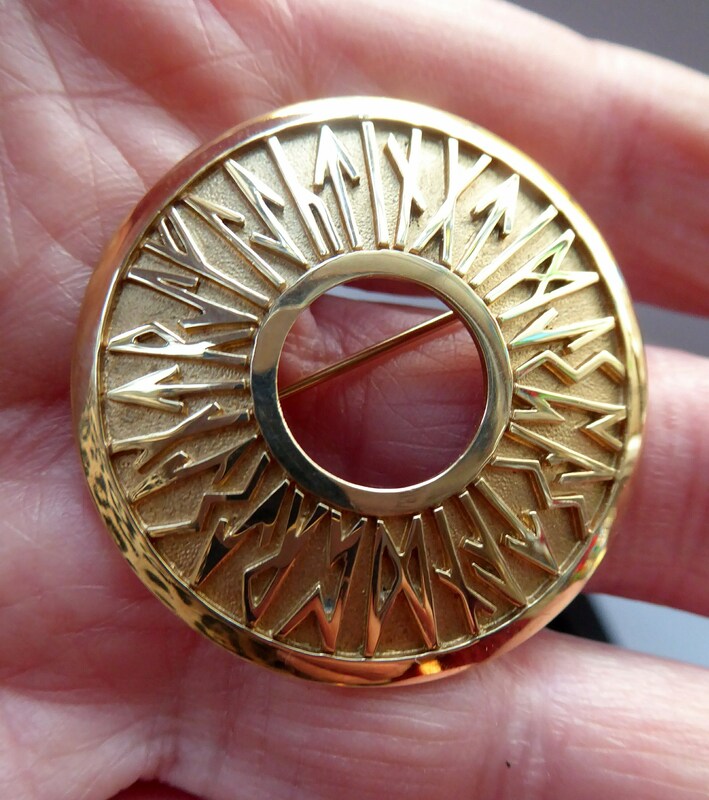 Certainly a classy piece of jewellery - and if you look carefully - you might see Scotland's First Minister, Nicola Sturgeon, wearing an identical gold example on more formal occasions. 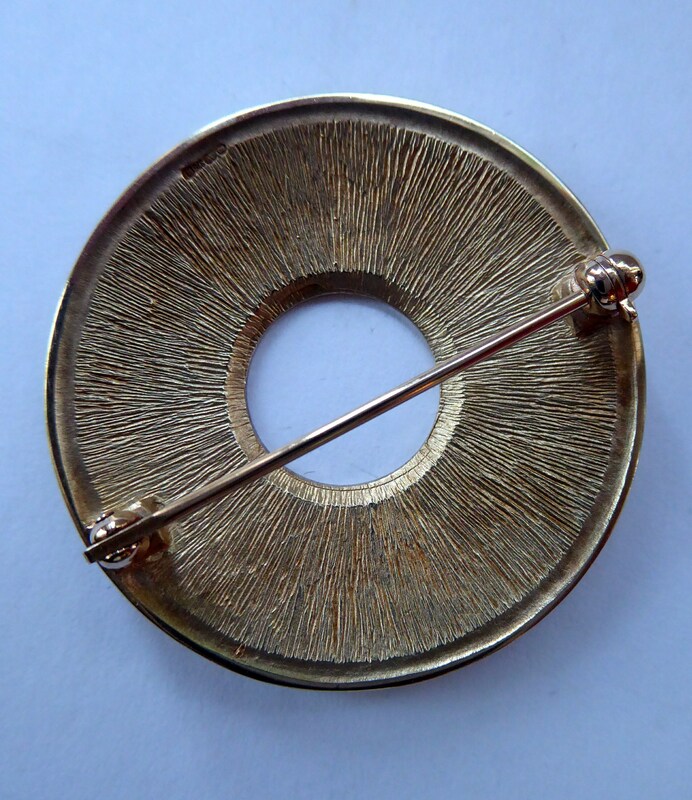 My solid gold brooch on offer here is pre-owned but it has hardly worn and in just such super condition. 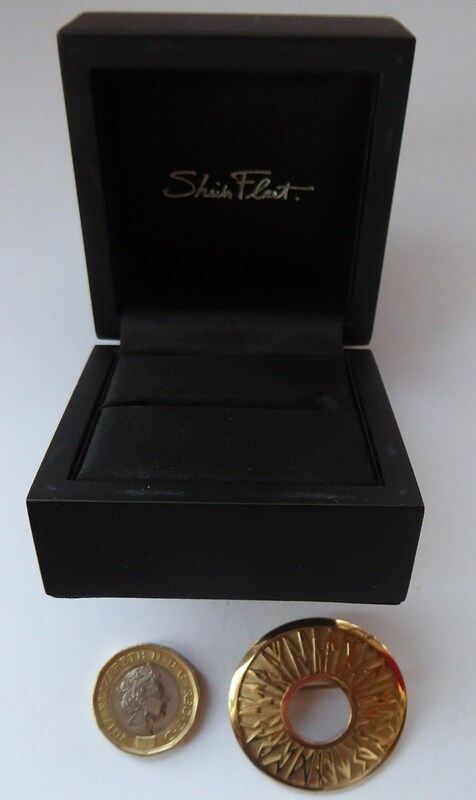 It comes in a little black Sheila Fleet presentation box - also in excellent and clean condition. 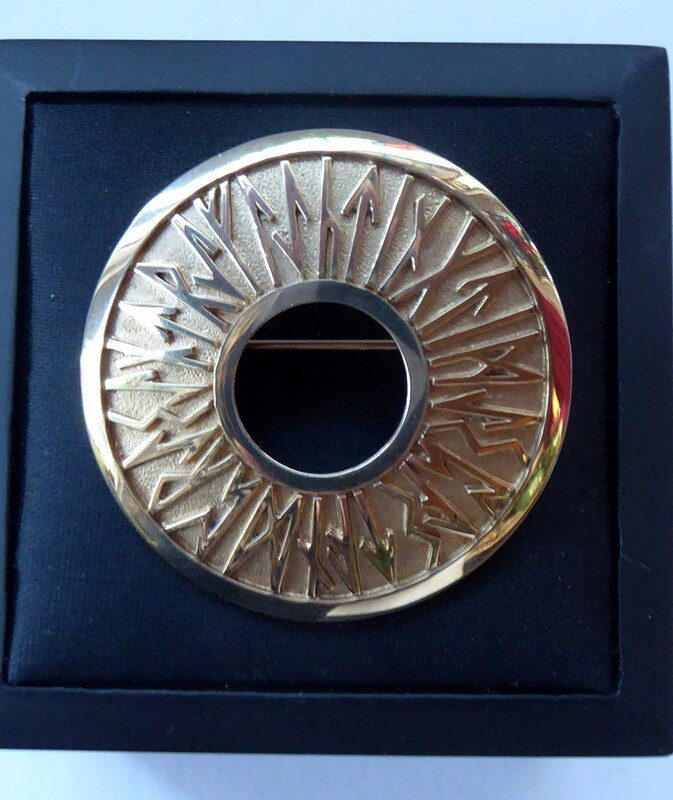 A really special piece of Scottish jewellery - this is reflected in my price ... which is a fair one. Happy to post internationally, please ask for a postage quote.